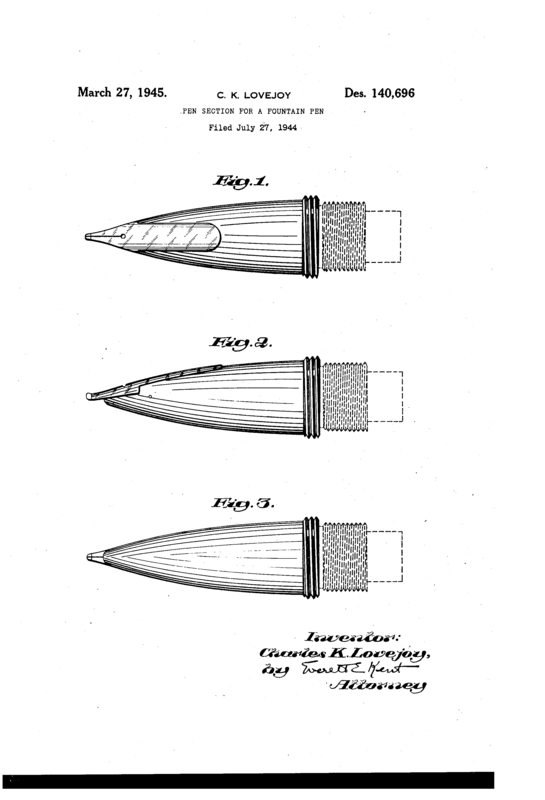 This patent shows a section design that was to be an ornamental pen section. Looks like an inlaid nib! U.S. Patent 140,696. (Issued March 27, 1945).